A beautiful red city, build with bricks. 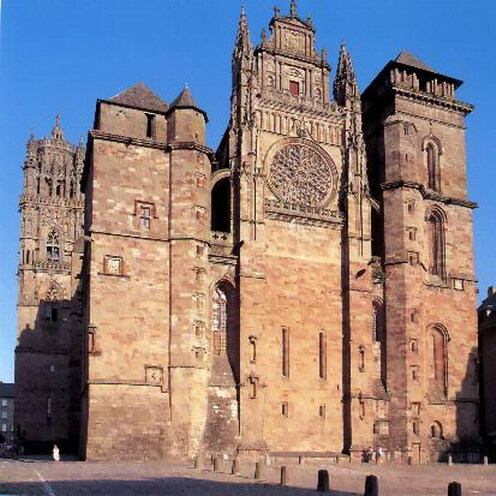 The big cathedral that stands in the middle has been built against the invasion of the Cathars. The inside of the cathedral is very ornamented. The episcopal palace is also a museum of Toulouse-Lautrec. The city center is very nice with the restaurants and the little shops. You can also walk along the Tarn river. Capital of the Aveyron. There is a big cathedral and a nice market on Saturday mornings. After Villefranche follow Figeac (D922). Pass Villeneuve (another nice bastide). After approximately 6 miles after Villeneuve make a left towards Foissac. There are signs for the cave. 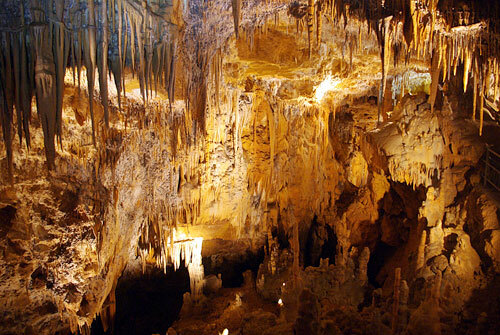 The cave has stalactites and stalagmites and also a skeleton of an old inhabitant named Arthur. 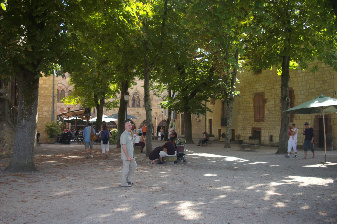 After Foissac, following the road you can visit Balaguier d'Olt, Ambeyrac and Saute de la Mounine. There is a legend about that place, that I will gladly tell you if you ask me about it. The whole place is very picturesque. There are little cafés and restaurants where you can sit outside and nice little shops. The place is pretty touristy, we advice to go on a week day. You can combine this trip with a visit to Monestiés. Najac has a big medieval castle on the top of the hill. 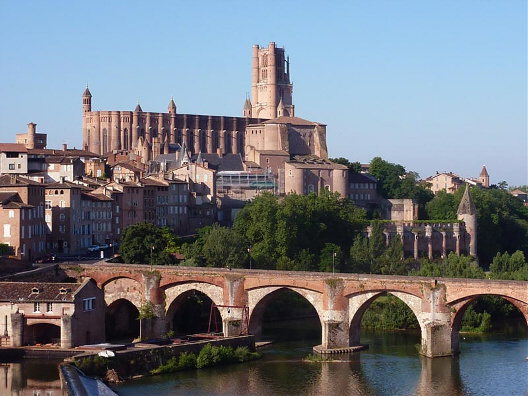 You can visit the castle and there is a guided tour but only in French. 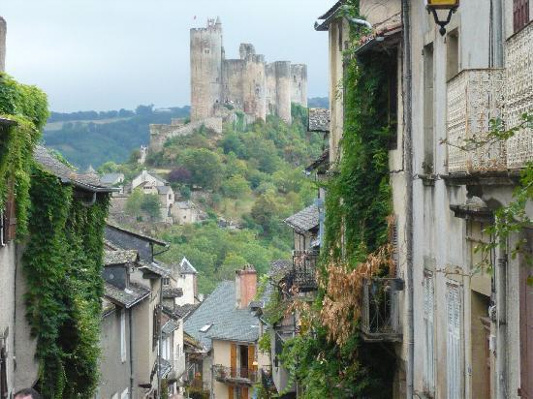 The road to Najac is beautiful, you pass through Lescure Jaoul, Lunac, La Fouillade. La Fouillade has two nice coffee shops, a supermarket and some shops.